Gather your materials. 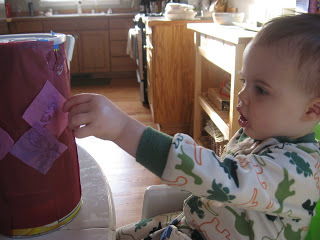 You will need an old beverage mix container, or coffee can. We are using a huge Lemonade can because my husband drinks far too much of it. 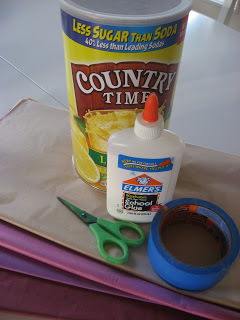 You will also need some tissue paper, glue, some tape, a pastry or paint brush and a small plate or plastic lid. 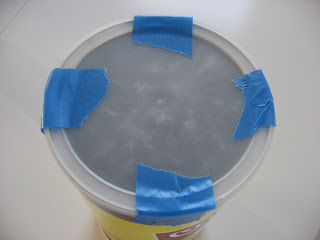 Tape or glue down the plastic lid to the drum. 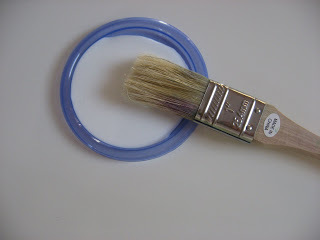 Pour some glue onto a plastic lid or plate , you will be brushing on the glue with the paint brush . 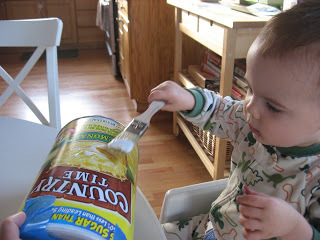 Have your child paint on the glue. 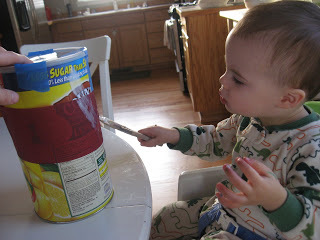 I was shocked how well my little guy did, as long as no glue was dripping off the brush he didn’t even try to eat it. Normally he has a hankering for glue. 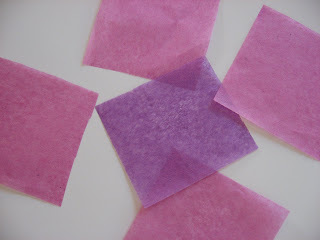 Cover the can in big pieces of tissue paper. I used a dark color so you couldn’t see the writing on the container but if you are using a container that is free of all that you can skip this step. 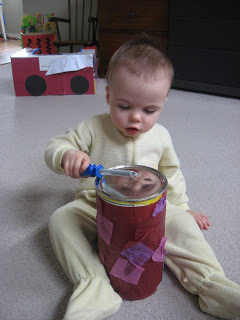 While your child is covering the can with big pieces, cut out some smaller pieces of tissue in contrasting colors. D is also for Diggers! I know I have reviewed some Digger books before but my son is still in LOVE with diggers so I have a bunch of them. 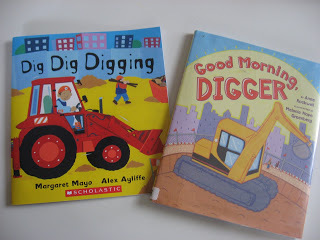 Now that I am back from vacation I will head to the library for a new stack tomorrow!” Dig Dig Digging” by Margaret Mayo was an instant favorite as soon as my son opened it last night. I bought it without pre reading it at all , hoping that just the fact there was a digger on the front my son would love it. The book is so much better than I expected. 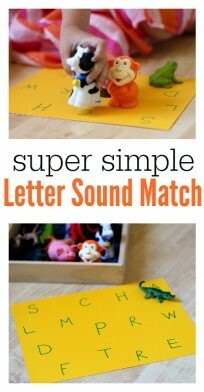 It goes through all different types of vehicles, not just diggers and the text uses a repetitive format that kids love. The best part is the opening line of each page where is says what each vehicle is good at. ” Diggers are good at dig dig digging!” ” Tractors are good at pull pull pulling!” are just two of the many. I love this because it had my son trying to say it and by the 3rd reading he was saying it along with me. 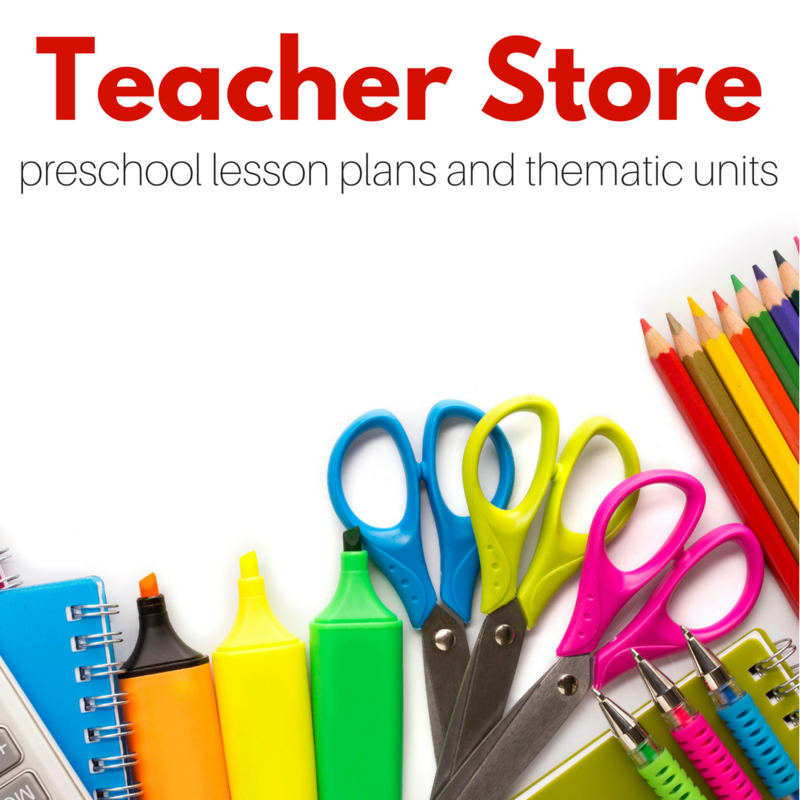 Great book for toddlers and preschoolers! ” Good Morning Digger” by Anne Rockwell is not going to be put onto my must buy list. It just seemed flat and boring. The story follows a vacant lot and the digger that comes it to start construction on what will transform into a community center. There really weren’t any characters and the text seemed unenthusiastic. To make matters worse I think I have to pay a late fee at my library on this one. Next Post: The Royal Treatment! I am so glad I found this. I am getting some great ideas. Thanks and keep it up. 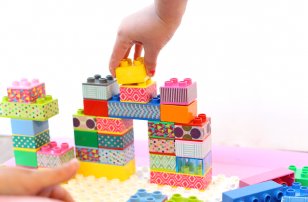 I live the great ideas on your blog! I would love to know your secret…I cant even get my 3 yr old to sit and color! LOL. I sure will be stealing some of your ideas! 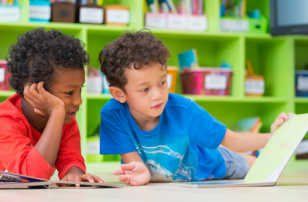 I really think it’s all about finding an activity that will keep their interest, some kids aren’t into art. 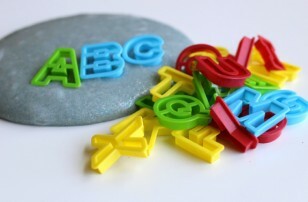 I have had more than a few 3 year old in my classes who would rather go to the dentist then do crafts! 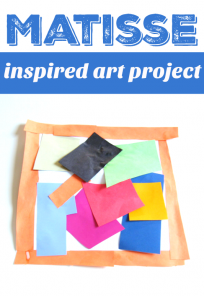 And I kind of like doing art in pajamas – the mess is less of a hassle that way! Though our schedule lately is to do it at night before bedtime – so she gets a bath as soon as it’s over. p.s. You shouldn’t worry about pajamas or boxes of Country Time lemonade. Nobody’s worrying about or judging those details. (Heck, how could we?) 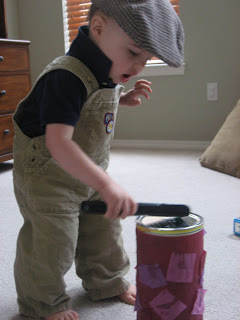 All we’re noticing is how wonderful your ideas are and how adorable your son. I hate that lemonade, I work so hard only feeding my family good things then my husband drinks so much of this stuff I swear his blood is artificaly lemon flavored! Can’t win all the battles ! My son really liked it. There’s no characters exactly, but all the “‘struction machines” have eyes. Oooh thanks! My son can’t read but I swear after re posting this activity he re discovered ” Dig Dig Diggers” and after a week of reading it over and over I need a new digger book!